march madness. 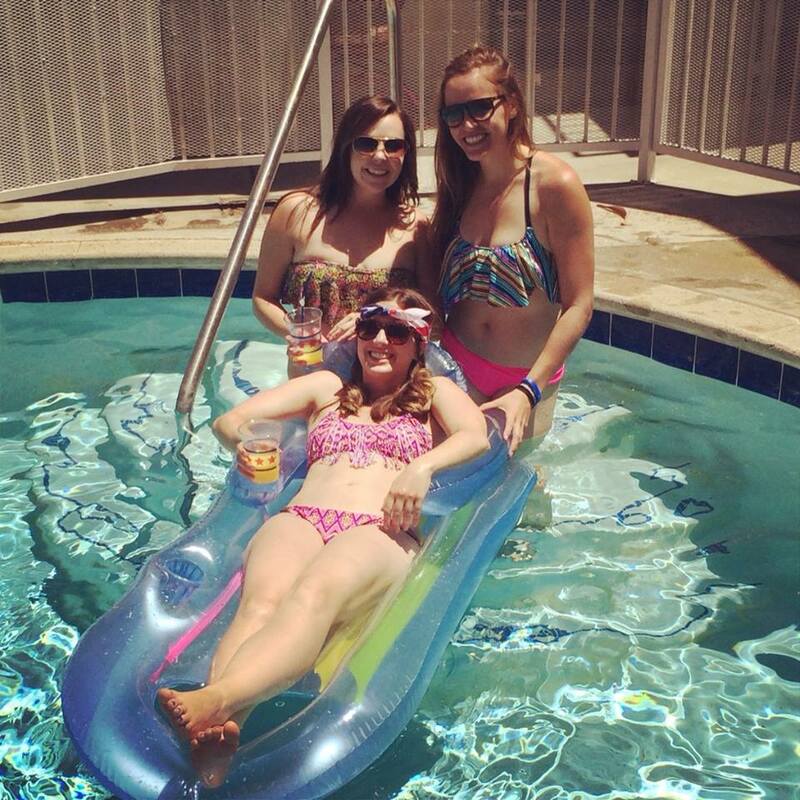 (yes, i have resorted to cliché blog post titles). Sue me? Oh god, was that an ill-fated attempt at a legal pun? What happened to me? I used to be think I was funny. 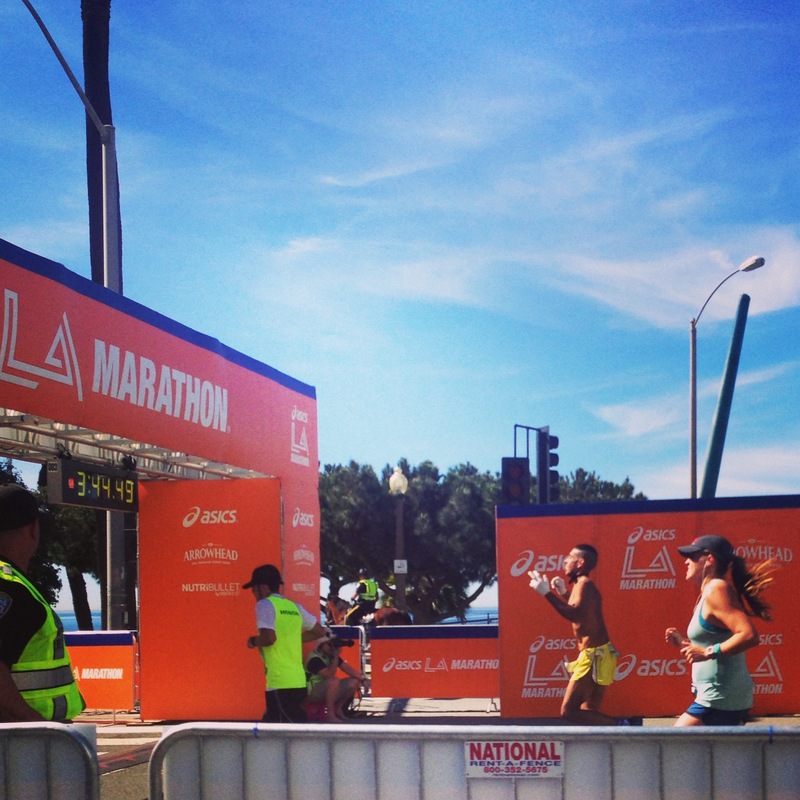 Marathon Spectating – FOMO hit me HARD on March 15th when I saw my mom and tons of my friends run the LA Marathon. It was inspiring seeing so many people I know fight through the heat and set personal bests out there — and it was a fun and different perspective spectating, but I’ve already signed up for next year so that next year people hand me gummy bears and gatorade instead of the other way around. My Dad and I went to four different spots on the course. We started near the 5k in Little Tokyo where I saw a TON of people I know as well as a really excited old man who chanted “Si Se Puede! Si Se Puede, C’mon, C’mon, C’mon C’mon!” ad naseum for an hour, then we drove near mile 11 or so at Hollywood and Highland – I was glad to see Andres but of course he was too fast and beat us to our other spots, then mile 18 in Century City (this is the spot where I wanted to die last year), and then finally the finish to see my mom. Immediately that day I whipped up a training plan for myself since I’m running Ojai Mountains 2 Beach at the end of May. It will be my third full mary and I’m hoping for a decent PR. 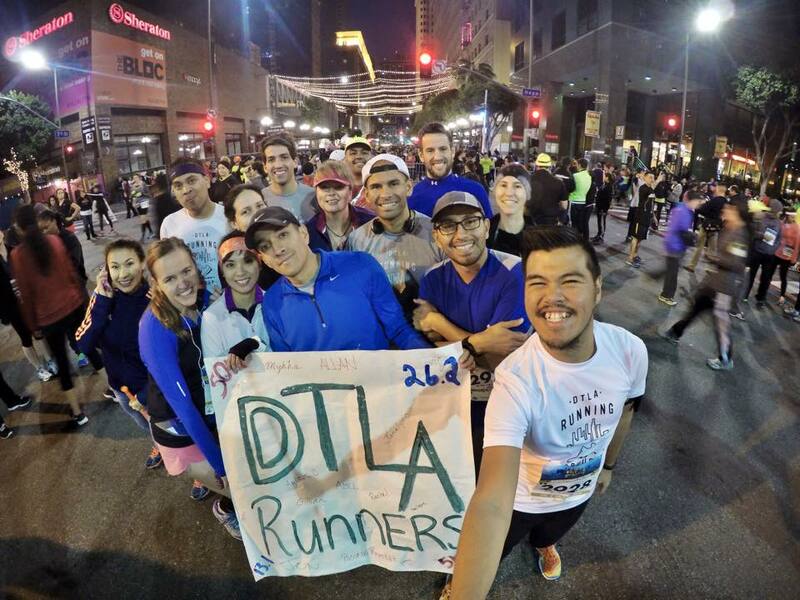 I’ve been logging more AM miles and trying to push the pace on some of my shorter runs, and have been trying to hang with the big boys at my running group. (And by “trying” I mean they make fun of me for being slow and getting distracted by pretty buildings). While I finished in 1:47:47, my splits ranged from 6:31 to 10:59. Not pretty. My Dad ran the 5k and then took a selfie. Not pictured because “his colleagues will see it and it is embarrassing.” Guess I should worry about that at some point. 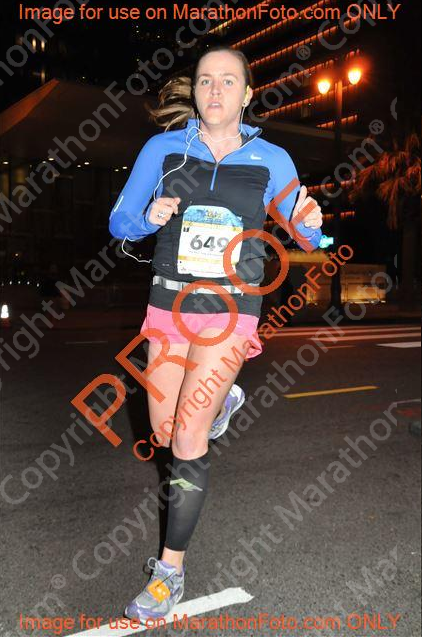 Up next for me is the Hollywood Half which I decided to do in a gunner moment of…gunning? But in all seriousness I need to redeem myself from the Cheseboro Half, and logging long run miles is SO much easier to do in a race setting than solo. My Best Friend’s Wedding. Also in March, my best friend, Jenn, got married! Jenn and I were in the same sorority in college, lived together all of law school, and ended up working at the same law firm. 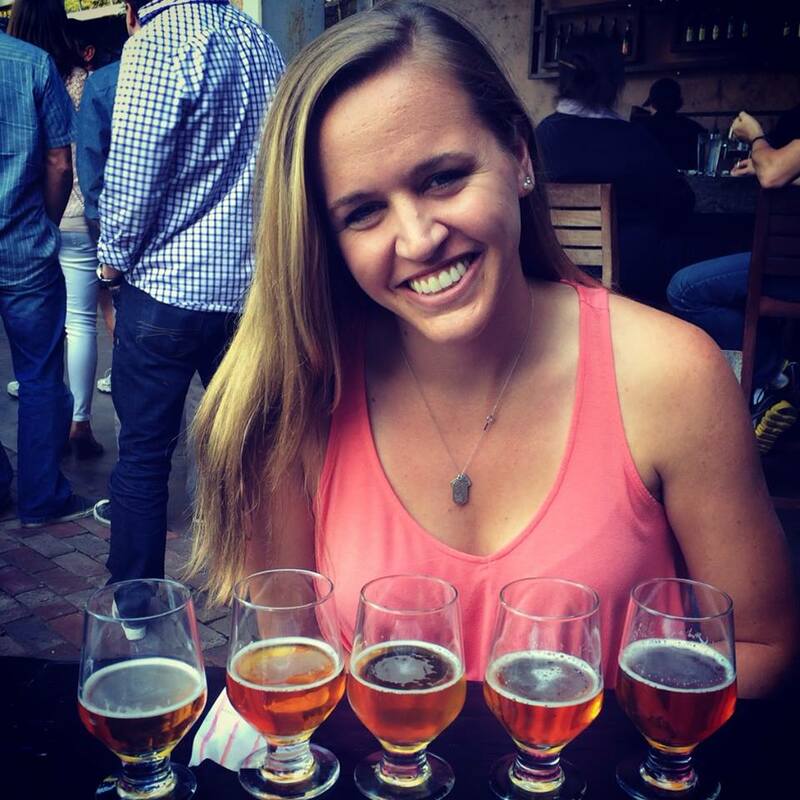 If you’ve read this blog even once before you’ve probably seen her around…ANYWAY. 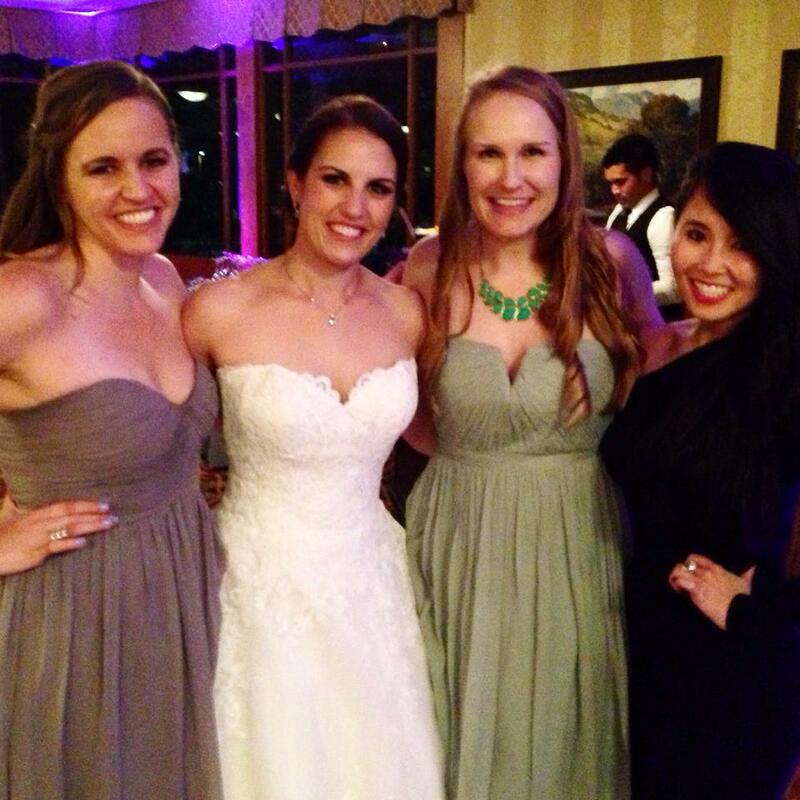 She had a unique and playful ceremony and super fun reception at Oakmont Country Club in Glendale on Ultimate Pi Day (3.14.15). Check out the gorgeous photos here. It was a lot of fun and an honor getting to stand up there celebrating Jenn…and they even trusted me with a microphone to say some nice (and mildly derisive) words about Jenn and Daniel. I also had an amazing time catching up with Kathleen and Amanda from my sorority, as well as a ton of Jenn’s friends from law school. 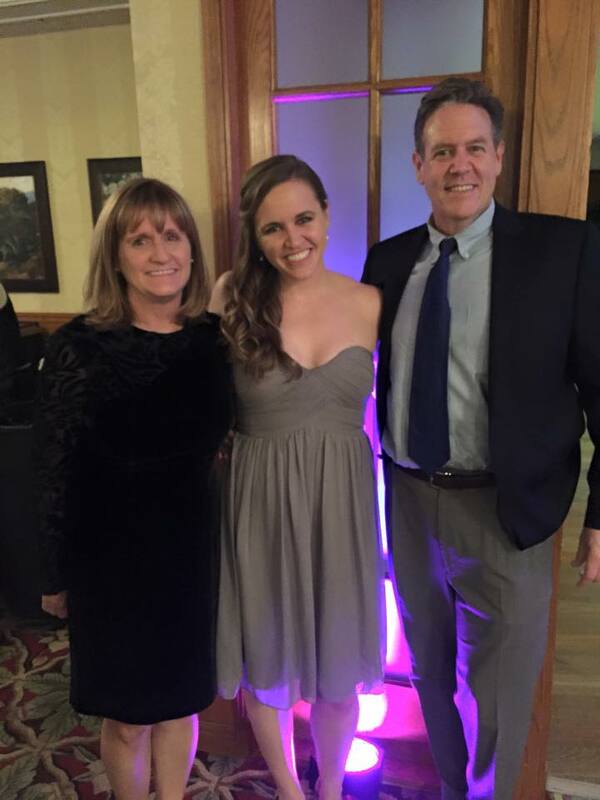 I also had a great time with my parents. 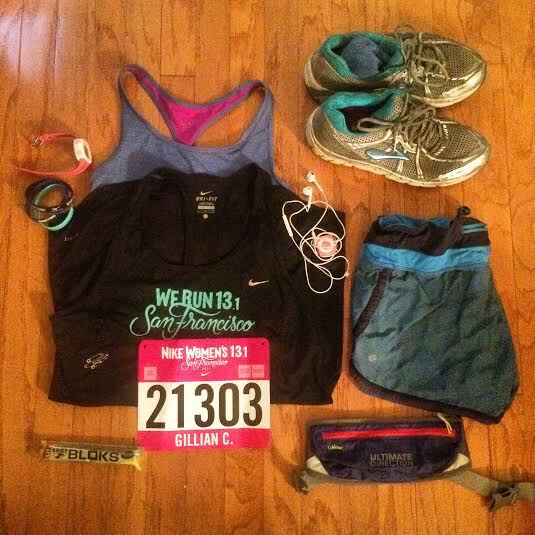 (This is my mom just hours before she started her first marathon #boss). 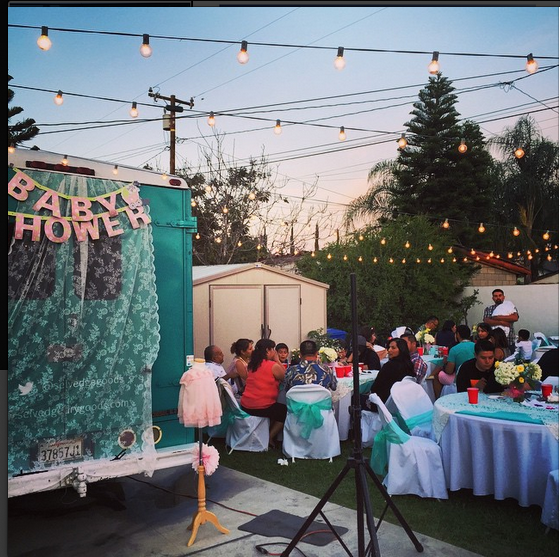 Also in March, I got to attend my friend Andres and his wife Monique’s baby shower. It was awesome — they thought of every little detail and I got to eat the best mole sauce I will ever have in my life. Can’t wait to meet who is sure to be the coolest kid in the greater LA area. I was pretty busy in March, but I think — for the most part — busy is better. I got to work on some fun and interesting things at work. S/o to my parents for keeping me sane in (rare?) moments of insanity and (frequent) moments of stress. 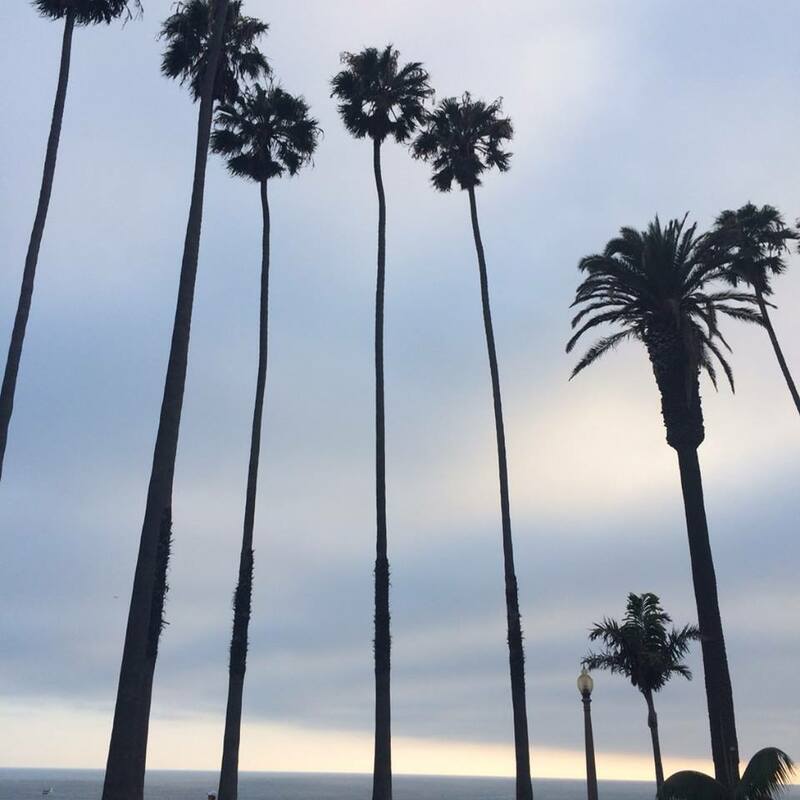 I also went to a fun Cal Alumni breakfast last week — it was cool to connect with alumni and trade stories — sometimes I forget about little things I loved about Cal living in LA, which is so UCLA/U$C dominated…so I’m going to try and go to more events like that. (Side-note: trying to keep the side-hustle/creative side of my brain working, so it’s a goal of mine to go to one non-law related networking or speaker event a month. We’ll see how that goes). Anyway, that’s about it for me. Off to go review a deposition transcript, polish off my application for the RW/RR Challenge, and loudly rap Kanye to myself. Not necessarily in that order, but more than likely. 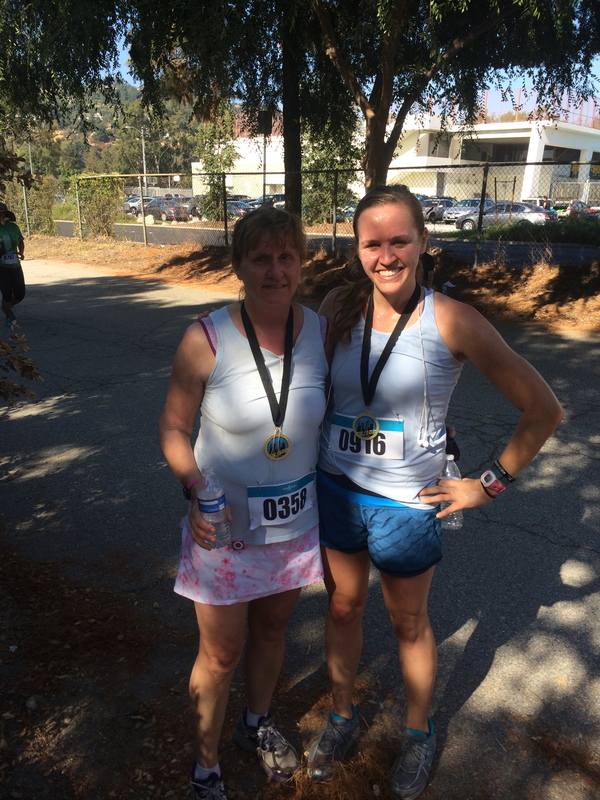 foothill 5k challenge [race recap]. 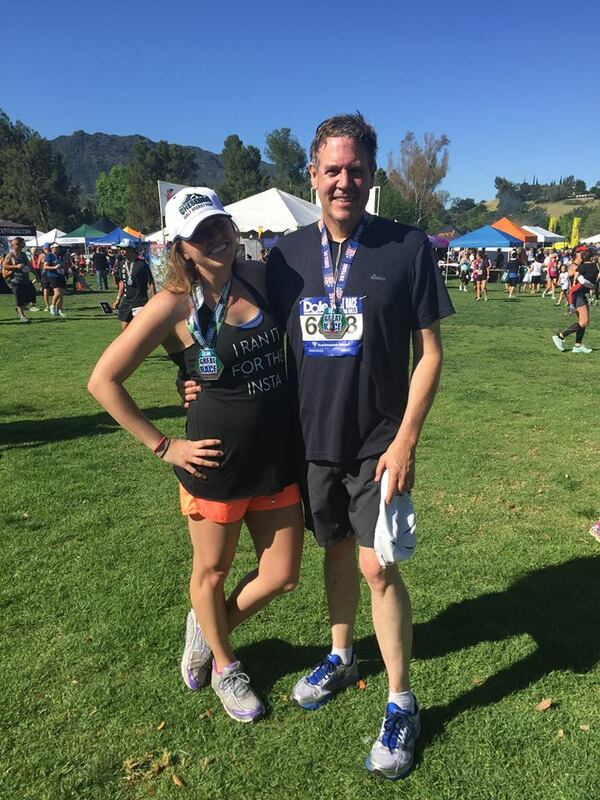 I’m a week behind in getting out my race recap from the Foothill 5k Challenge benefitting Back on My Feet, but I guess better late than never, right? 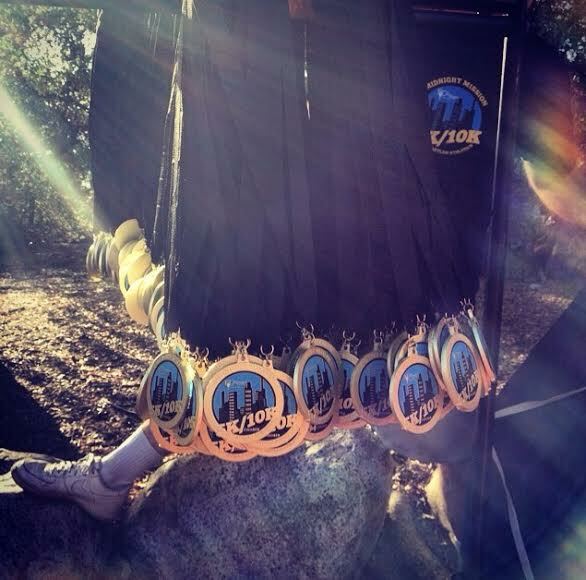 This was a unique event because trail races are normally longggg distances (read: 50k), so this was a fun way to get a trail run experience without being out in the sun all day. 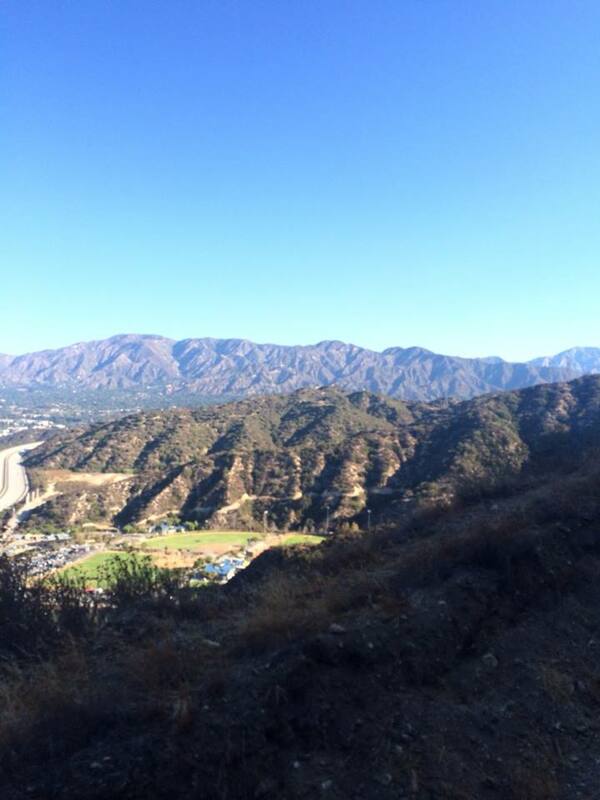 The race started and finished at the Glendale Sports Complex, but we ran up in the foothills through some rolling hills, switchbacks, and one pretty gnarly grade. The race kicked off around 8:20 or so. I was a moron and went out the night before, and slept for about 2 hours before it was time to head out to the course, so my goals were anything but lofty (finishing sounded good). I wasn’t hung over (because, tank) just wrecked. At the start with my fellow BoMF Homeboy Industries volunteers – Phil and Brian. Phil won the thing. The race was a lot of fun and definitely made me want to get on trails more often — but I need to buy trail running shoes because I found myself having to brake SO much in order not to completely lose it on the downhill portions. I traded places with one guy the last mile or so — I’d pass him going up and he’d get me coming down. He was so chatty afterwards and thanked me for pushing him (I returned the thanks obviously — I would have slowed down a lot without him on my tail). 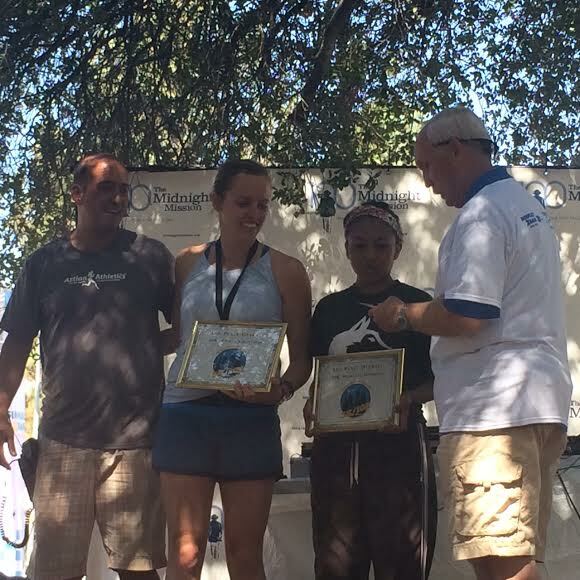 I finished in about 25:50 which I was happy with it considering the difficult course and extreme heat. It felt a lot SLOWER than sub 9-minute pace so I’ll take it. 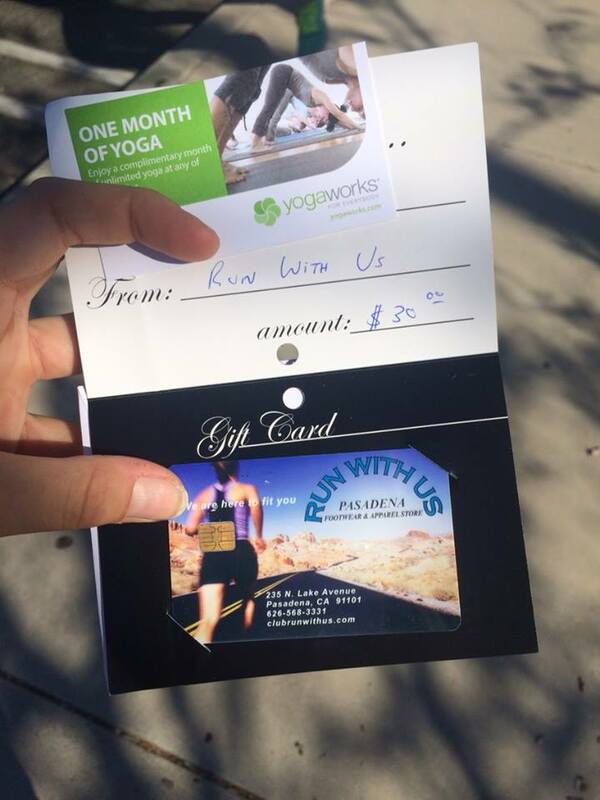 I was 17th place overall I believe and was the second woman, so I scored a Run With Us gift card and a free month to Yogaworks! I need to make those things happen. It was a great event and I loved being out there supporting an organization that is so close to my heart. 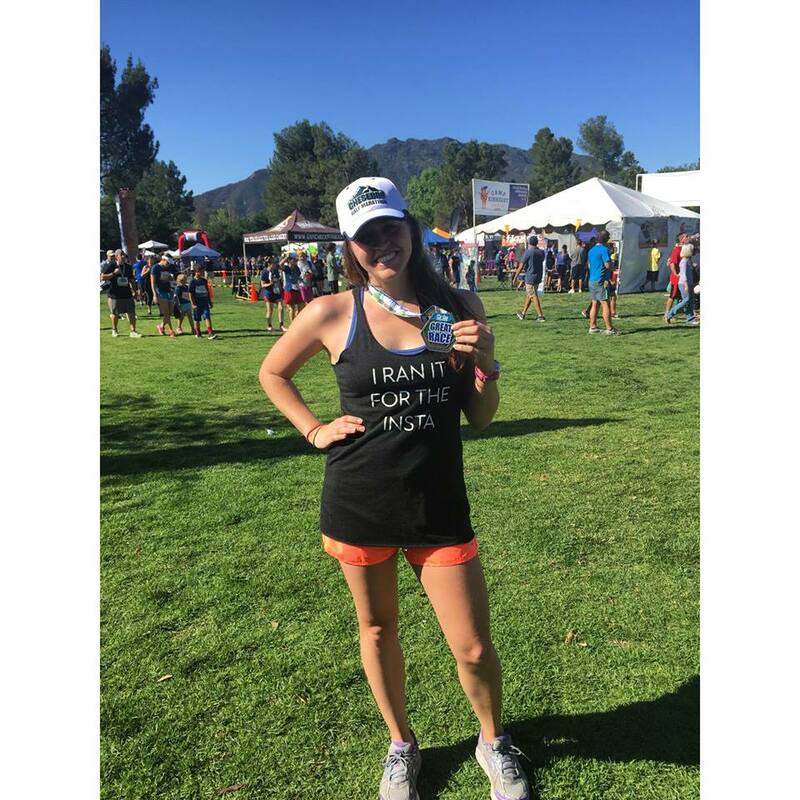 Have you done a trail race? Where? Distance? Tips for trail running newbies? Is there an organization you support? Tell me about it! village runner 4th of july 5k. 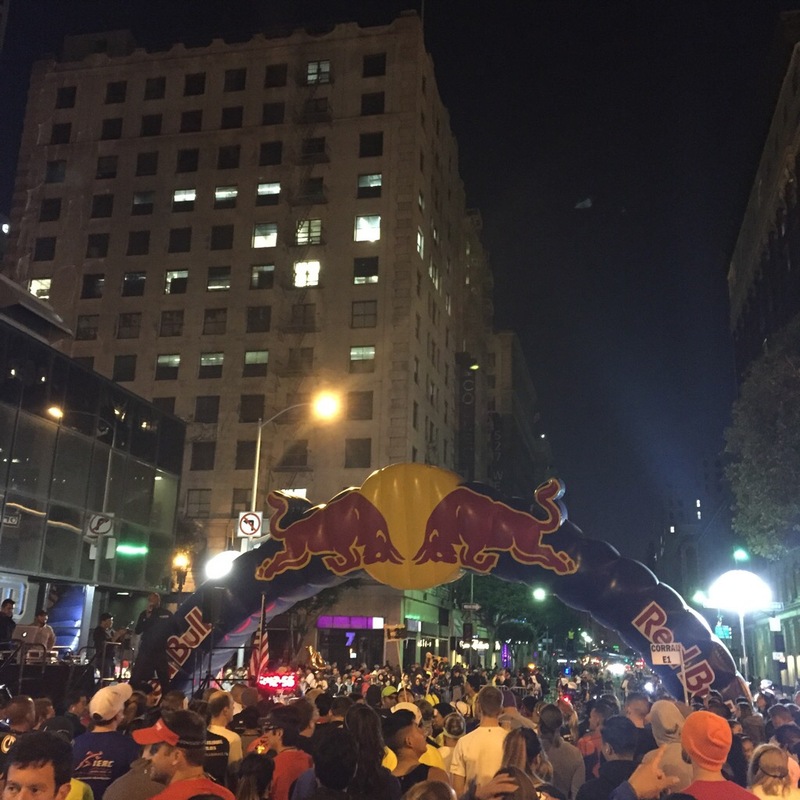 A few years ago, I instituted a tradition (with myself, because why not) to run a race on the morning of the 4th of July every year. I did it a few years on and off (once in high school, again in 2009), and now I’ve done it every year since 2011. 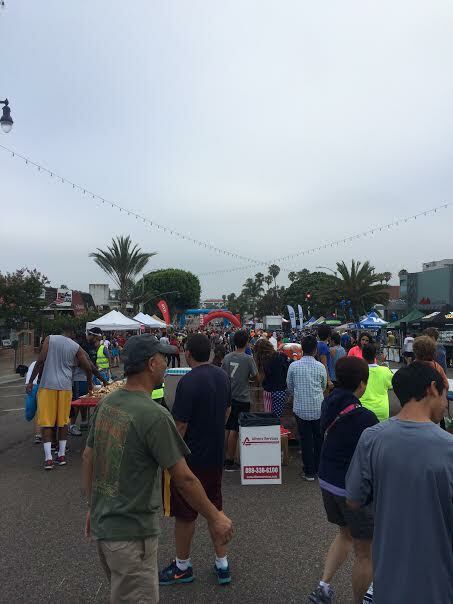 Anyway, this year I wanted to run a 5k to see if I could bring my 23:34 down from last year, so I chose to head out to Redondo Beach to run the Village Runner 5k. This was one of the best local races I have ever done – it was flawlessly executed, the course was (relatively) flat, fast, and well-marked. 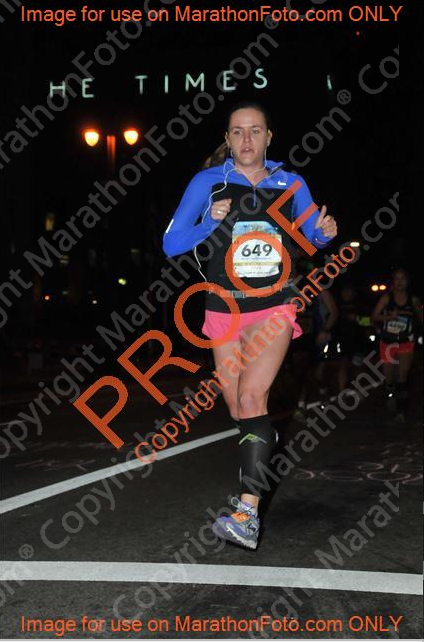 I also shaved almost 3 minutes off my time from last year (different course, but very comparable). Village Runner 5k: 20:41 (6:36 pace). Splits were: 6:22/6:44/6:50. 3rd/133 in my age group and 153/2500 overall. I’ll take it! I got to Redondo around 7:15 am for an 8 o’clock start, checked in, grabbed a T-shirt and some Clif products before heading back to my car to stash my stuff. I weaseled my way to the front in true gunner fashion and waited for the start. I LOVED that the race announcer dedicated the race to Louie Zamperini, who grew up in Torrance. (Side note: I am currently reading “Unbroken” and am loving it). I also enjoyed the gaggle of teeny tiny high school boys all ready to race their 5k. They were SO energetic and nervous and also all shirtless which I am not sure was necessary. The race started and we headed out to the ocean, ran along it for a bit, and turned around and came back. First mile was a little fast, but whatever. 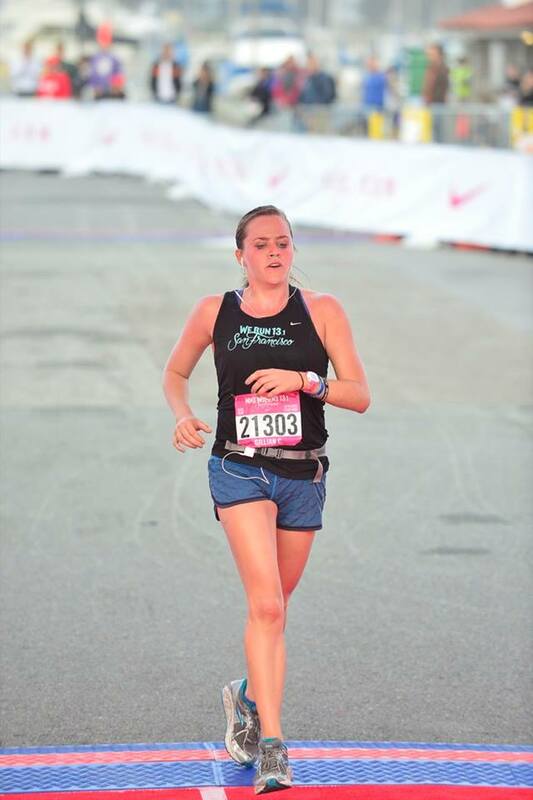 I was so ready for it to be over around mile 2.5 and then I said to myself “if you walk during a 3 mile race you are doomed for life.” So obviously I didn’t walk, and I was really happy with my time. 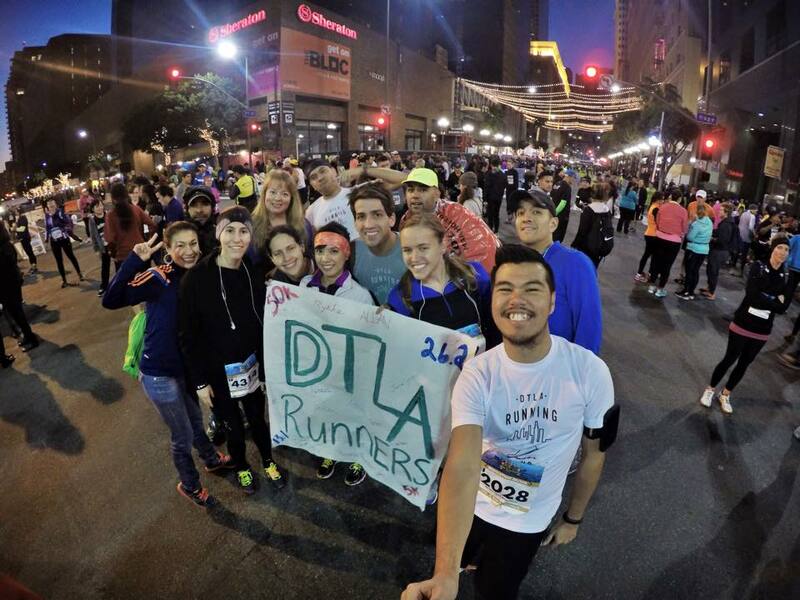 I also loved this race because I bumped into so many people I know from the running community. 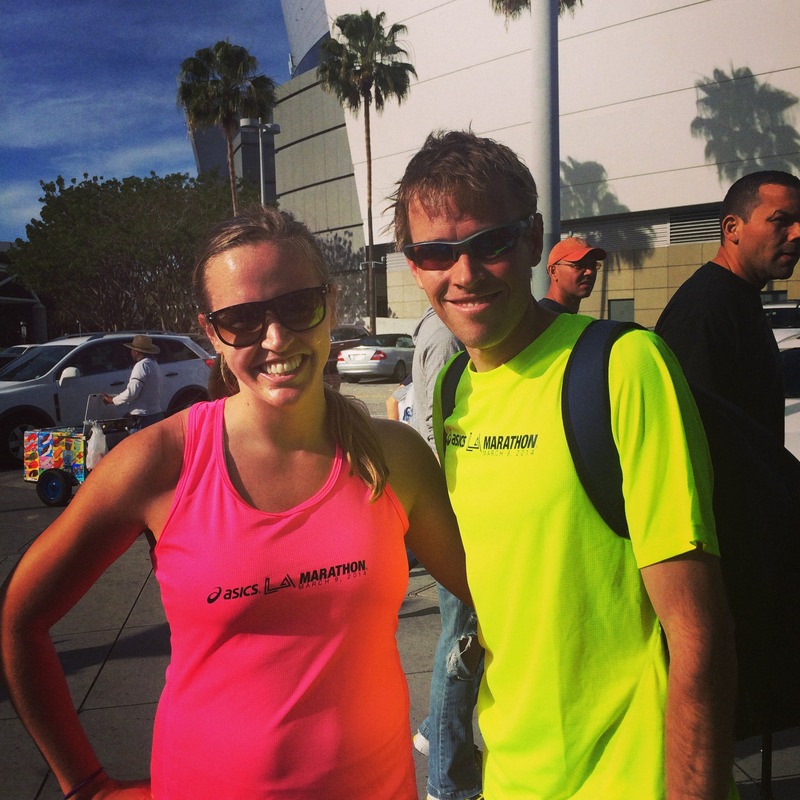 First, I saw my high school friend and teammate, Jordan Page, who was the 6th finisher overall. He always was and still is a total beast. 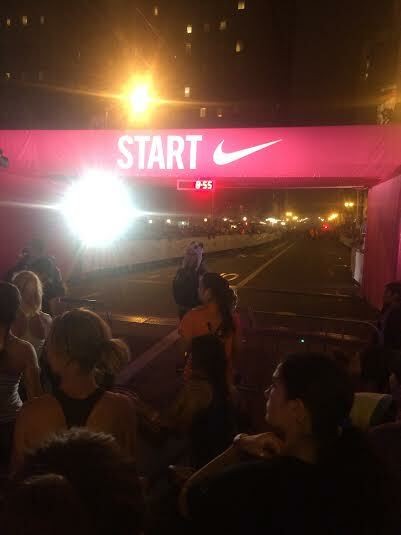 First mile in 5:05? Ain’t no thing. I also saw my sorority sister Cody out there – she screemed my name a little bit after the half which was awesome, and my DTLA Running bud Kevin was out there in an American flag body suit. 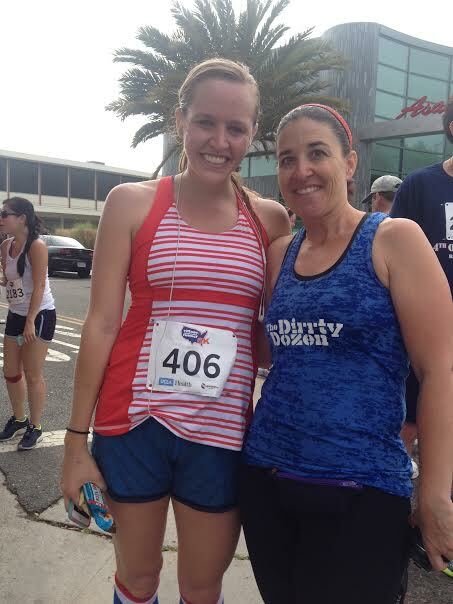 My Ragnar SoCal #DirrtyDozen Teammate Carrie @ Family Fitness Food was out there cheering for her son, so it was nice seeing her for a little bit as well! Post-race, I was impressed by the expo — I grabbed a banana and some water, and picked up some Clif products to take home. I LOVE LOVE LOVE the new Kit’s Organic Fruit and Nut Bars. 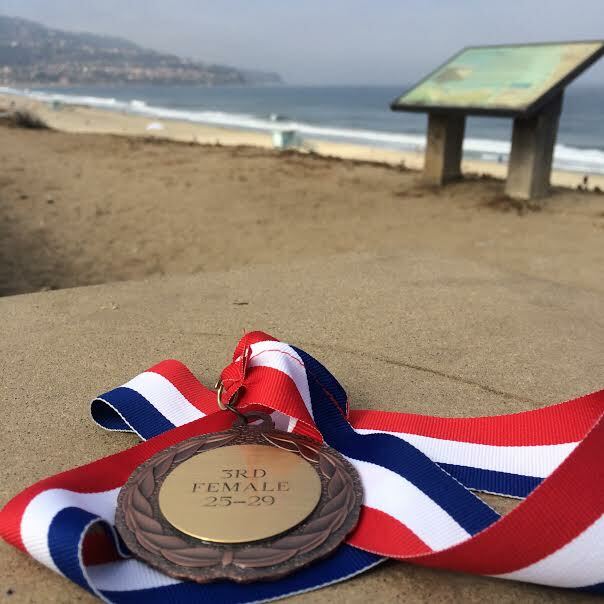 I also loved how race results were posted almost immediately and e-mailed to us, and that they let me pick up my medal so I could skedaddle out of Redondo before the ceremony. 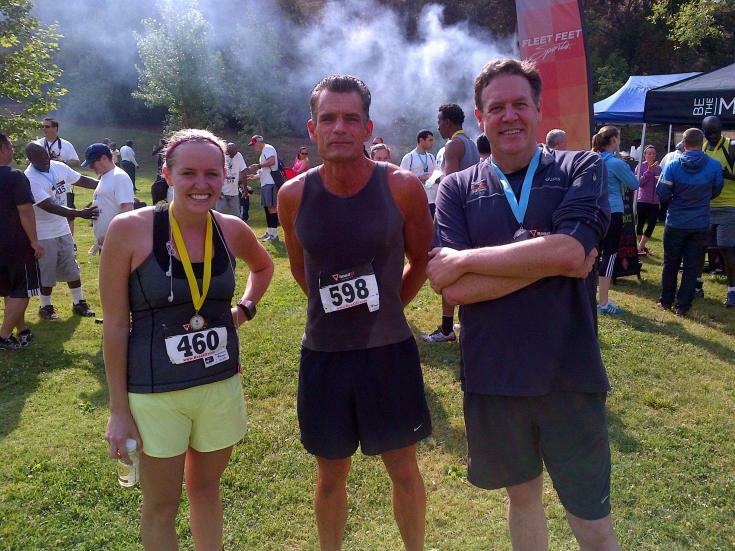 I’ll definitely be back to run the Village Runner 5k, especially since it is now home of my “since HS” 5k-PR. (It’s possible it is a straight lifetime best, since some high school races were not 3.1, but rather 2.9 or 3.0 miles). 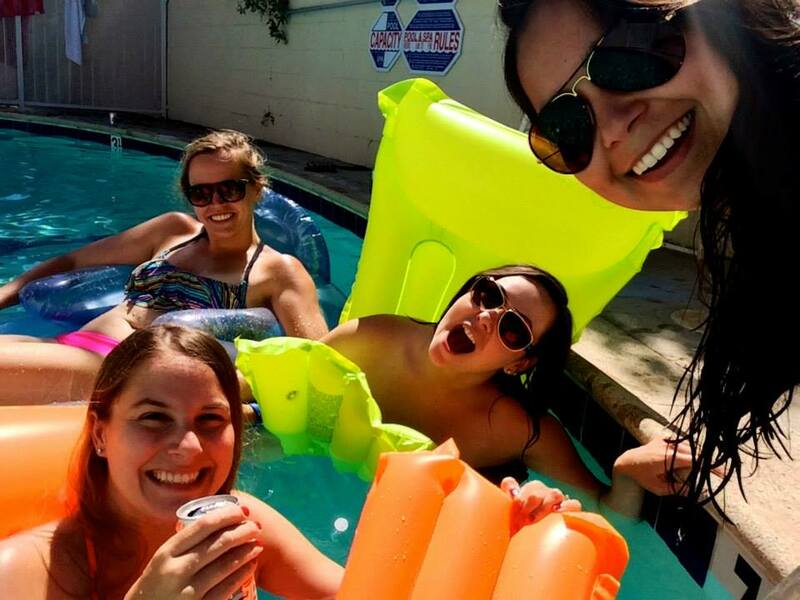 I spent the rest of the 4th partaking in some #traditions with my best friend Whitney and her friends who I have appropriated as my own over the last, I don’t know, 8 years? It was the perfect study-free day. 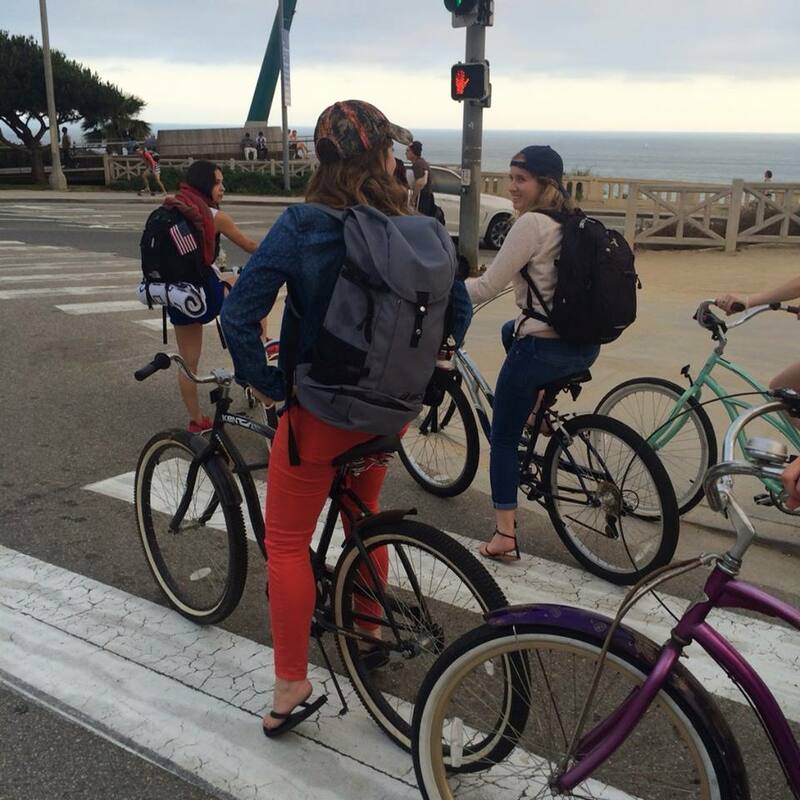 Later, we rented/borrowed bikes and headed out to Venice Beach to plant ourselves in prime territory to watch the fireworks. There were some minor bike problems but it was super fun being out there. I need to bike outside more. 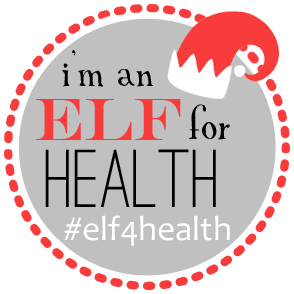 Do you have any annual holiday traditions, fitness-related or otherwise? I also like to do a 5k on Thanksgiving morning. 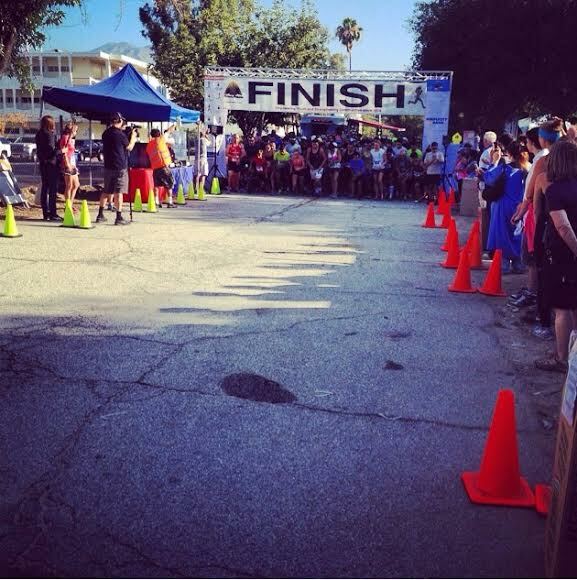 This past Sunday, I ran the Midnight Mission 10k in the Pasadena/La Cañada area. It was a great event and inspiring on many levels so I wanted to bring you guys a full report. The Mission also has a “Running Club,” fearlessly led by Superior Court Judge Craig Mitchell, who became involved once a man he had sentenced in court was released to the Midnight Mission on parole encouraged Mitchell to come check out the Mission. 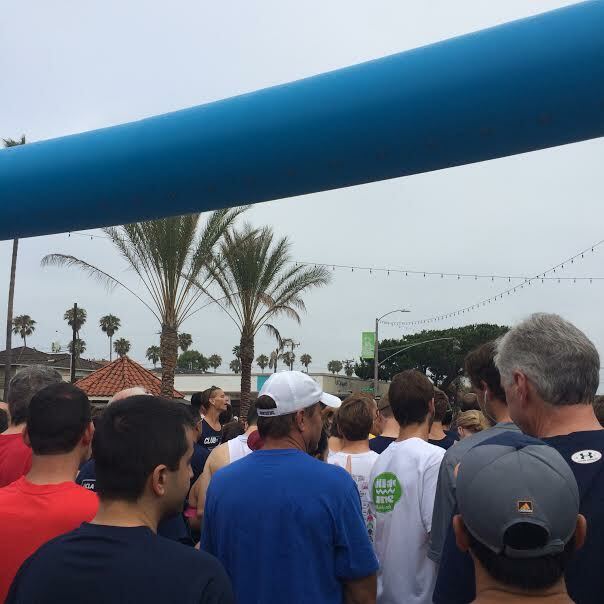 When he was there, Mitchell explained he’d heard about a similar running club at a shelter on the East Coast, and offered to start one at the Mission. Last year’s race funded enough money to send three of the Running Club’s runners to Ghana to run the marathon. 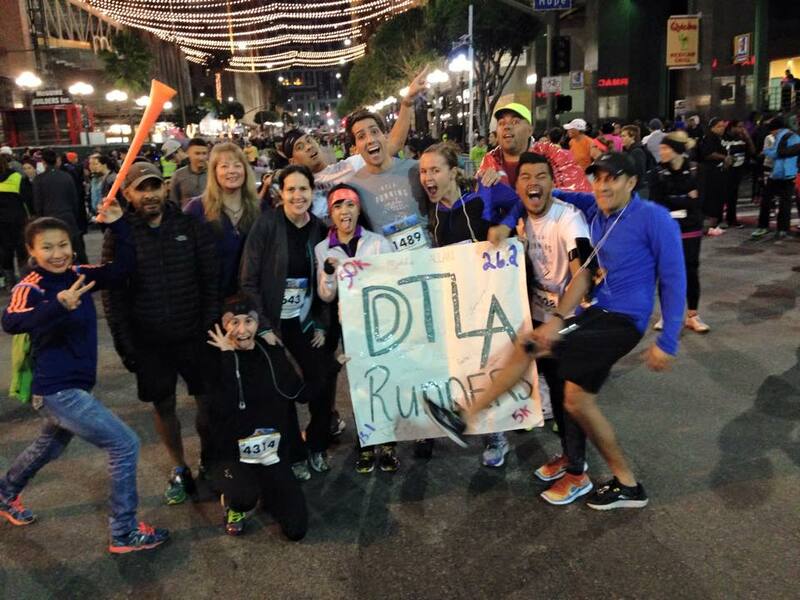 (To read more about Judge Mitchell and the Running Club, head to this LA Times article). After the race, I got to speak with Ryan Navales, a man who went through the program with Judge Mitchell and now works for the Midnight Mission in an administrative capacity. He explained that next up for the Mission’s Running Club is to send its runners to Rome to run the Eternal City’s marathon. Ryan dubbed it “From Skid Row to the Vatican.” Cue the shivers down my spine. If that doesn’t inspire you, I’m not sure what will. 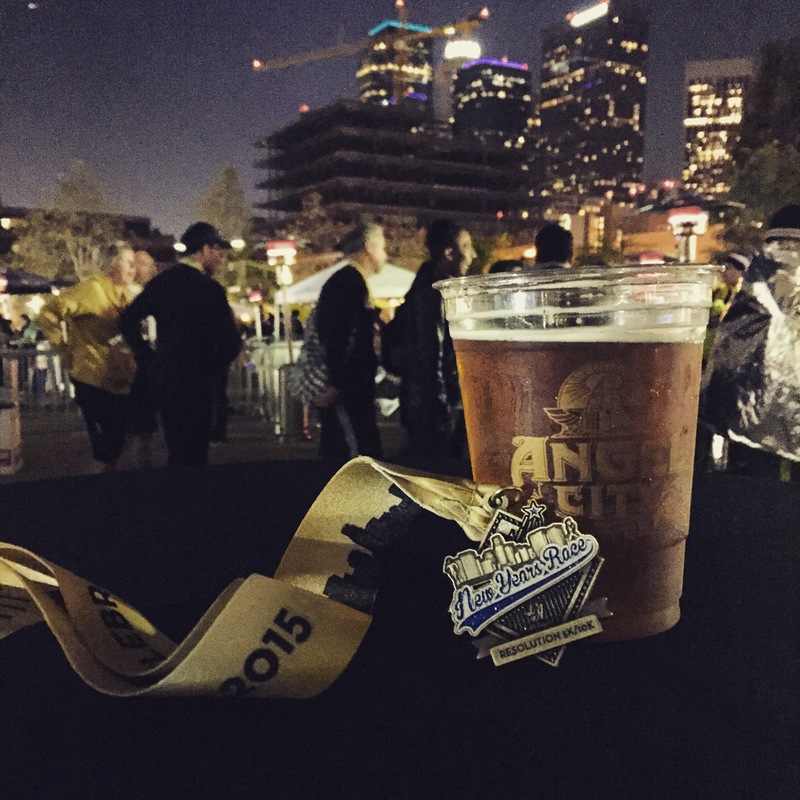 I actually ran this event last year (except it was held in Elysian Park). 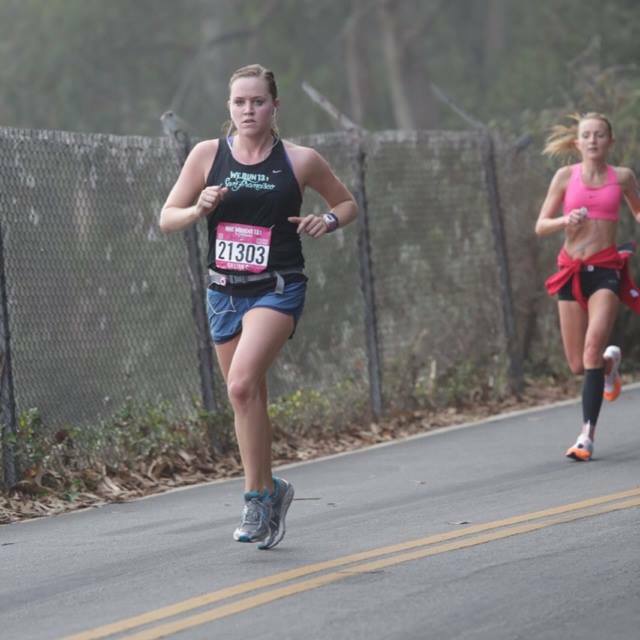 I was actually the first female overall last year (tiny, itty bitty little race) so I had to see what this year had in store. 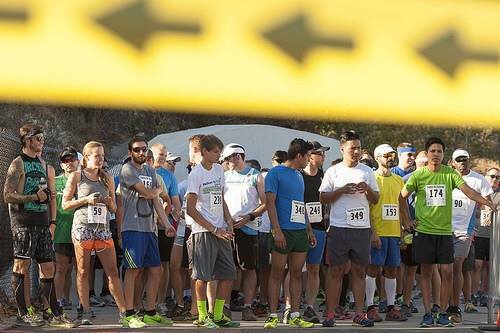 There was a bigger field — over 600 athletes took over Oak Grove Park to do battle with a 5k/10k. The course itself was an out and back through trails, which was awesome, and there was one significant hill. 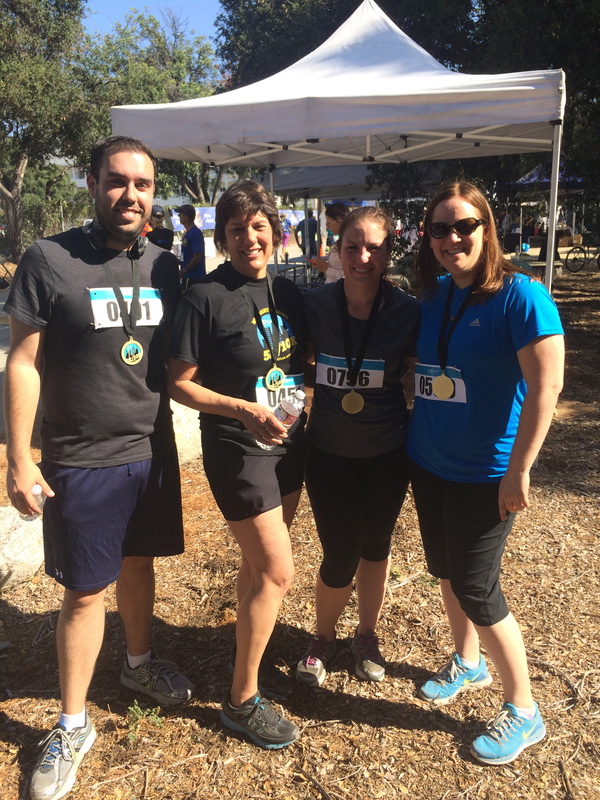 The race was great – challenging but fun, and scenic! There were a couple of water stops, and it was pretty well-marked. My ONLY complaint about the course is that it was really short. My Garmin clocked in at 5.43 miles (instead of the 6.2 standard for 10ks). 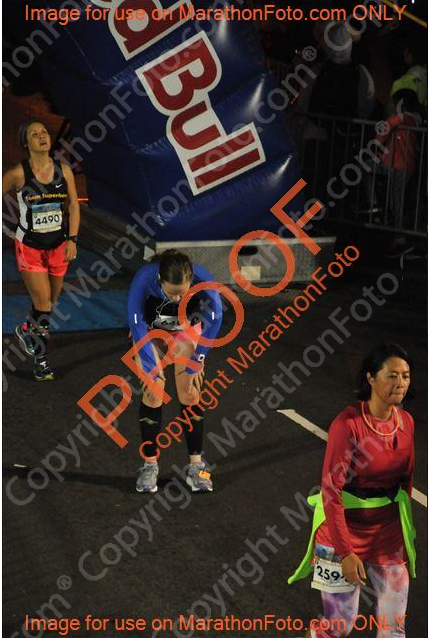 I wasn’t too bummed – I was running pretty fast (for me) but I knew the course wasn’t too PR-friendly, so I didn’t care. Not the most even splits, but the course was decently varied. I had encouraged some friends and family to sign up, and I am so lucky that so many indulged me! My mom ran the 5k and rocked it! Her first mile was in the 9:00 range! 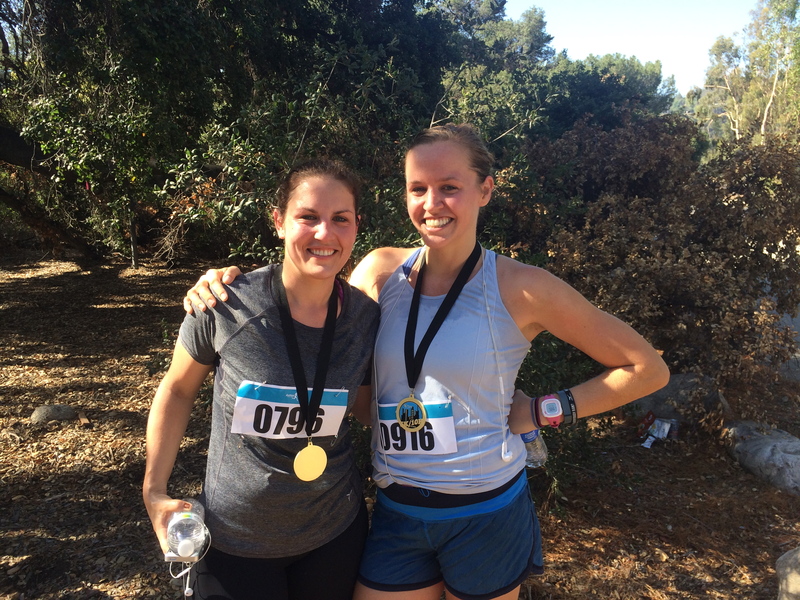 My ex-roomie/future co-worker, Jenn, also ran the 10k! She was running happy and strong when I saw her near the turn-around. She has been consistently running 2-3x/week and had a great day out there! 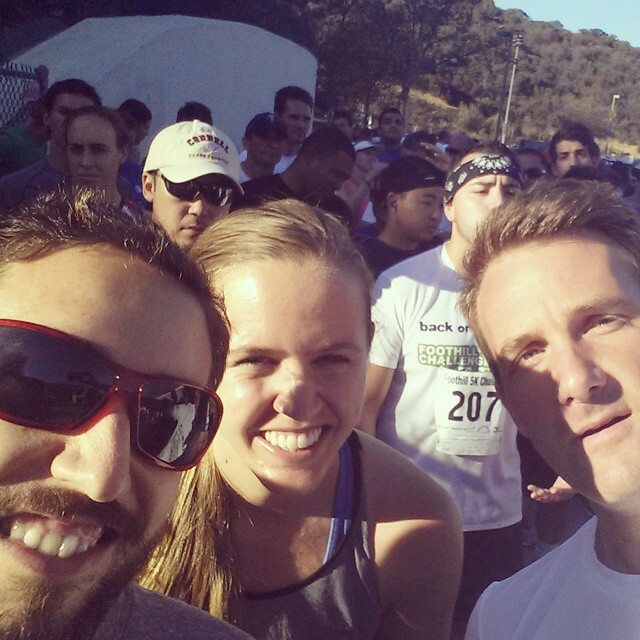 Jenn’s fiancé, Daniel, shaved over 4 minutes off his time from his last 5k – the Santa to the Sea in December which is PANCAKE flat, so this was great! Jenn’s mom and family friend also joined us an walked the 5k. Woo-hoo! 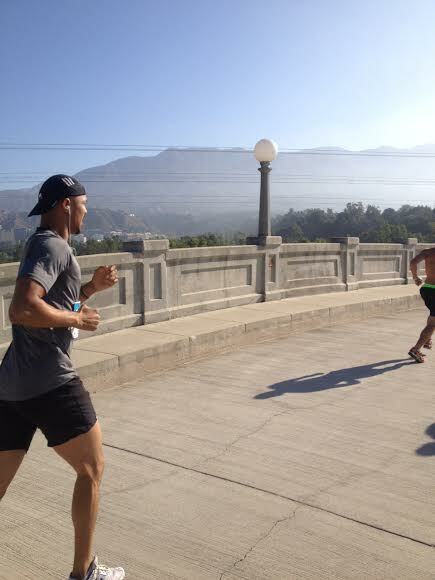 At the last minute, I roped two of my friends, Kwesiu and Eric, from my gym into running the 10k. 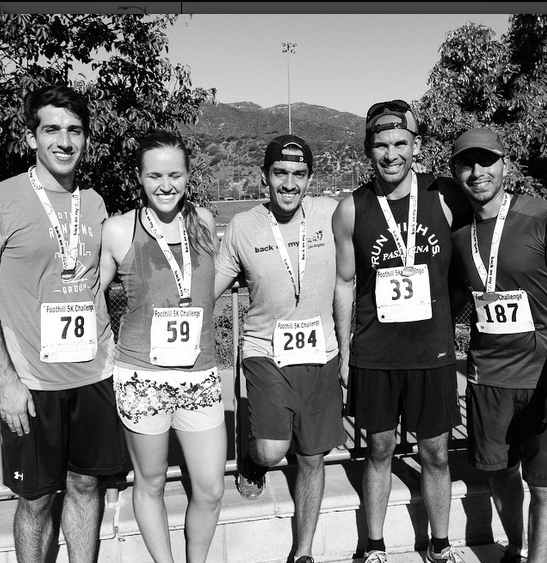 We all work out together every Sunday usually, but the classes at our gym were cancelled so I suggested they come with me for a little 10k action. Eric runs pretty often, but Kwesiu NEVER does so he was nervous. 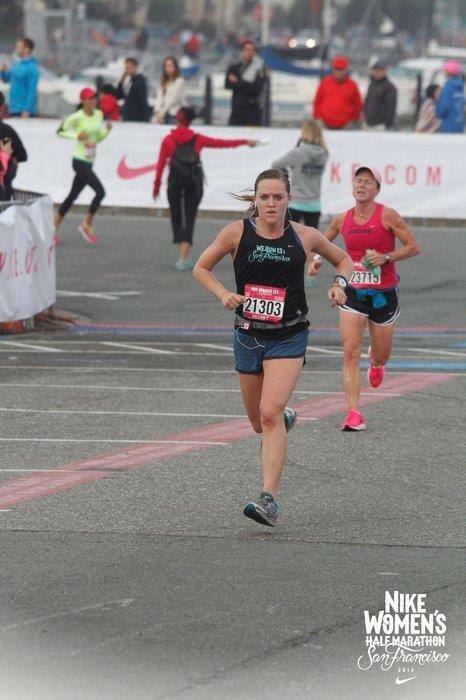 One of my favorite things ever is watching non-runners become runners and develop a love for the sport – and beating whatever time goal you had for yourself or surprising yourself by having fun out there is a pretty great feeling. 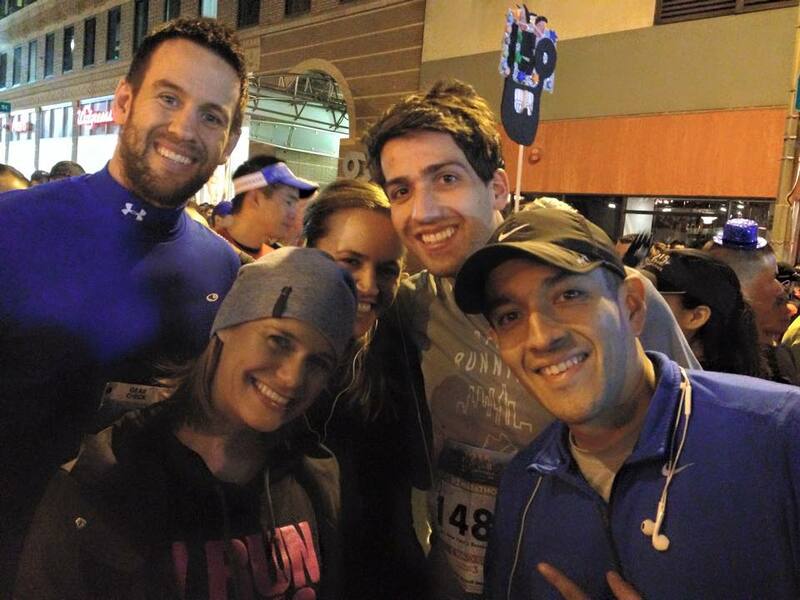 I’m gonna aim to get them to do a 13.1 with me next…Shouldn’t be that hard. We hung around and chatted, hit up the expo (I tried chips made from egg whites from IPS and snagged a couple of Pure Protein bars). The awards ceremony was cute :). photo credit: @MidniteMission on IG. I got this sweet plaque and a gift certificate to a complete shoe fitting from Fleet Feet Sports – Burbank. Can’t wait to redeem that the next time I need a new pair of my old faithfuls (aka Brooks Addictions). 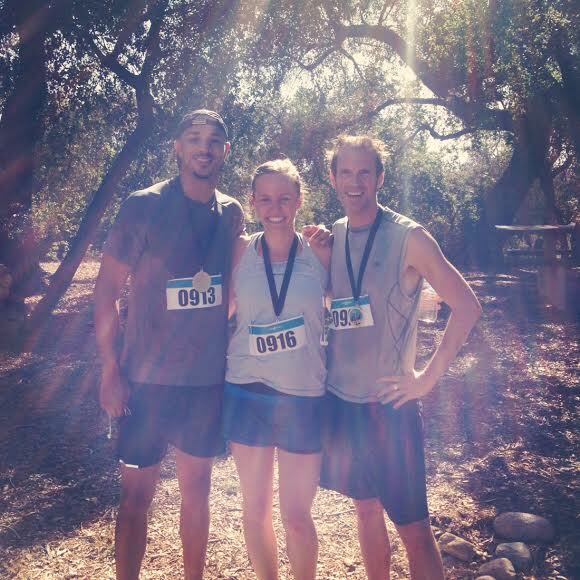 This race had everything I needed for a perfect Sunday: sun, sweat, friends, family, and some bling. I’ll definitely be back next year! 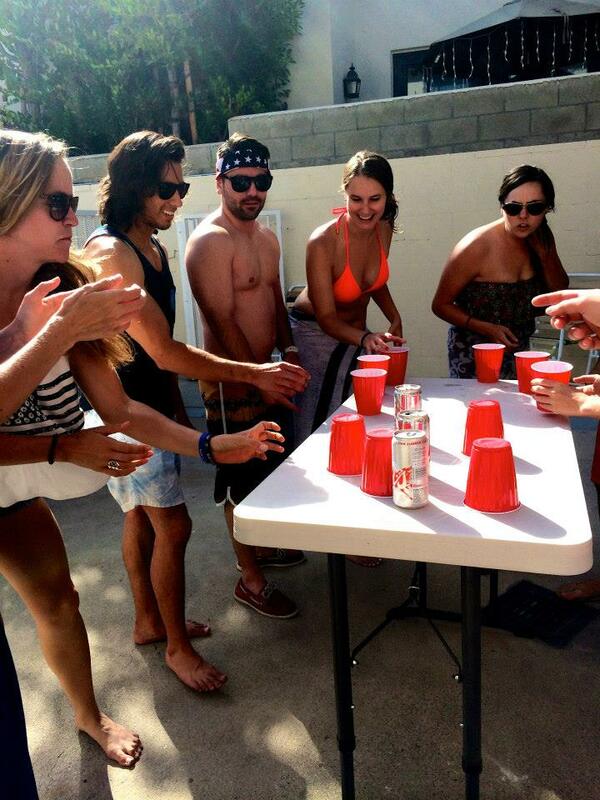 What is your FAVORITE way to spend a Sunday morning?